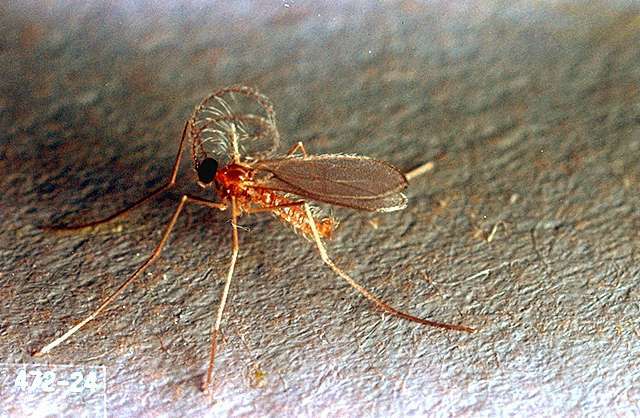 Pest description and crop damage This is a small, mosquito-like insect. 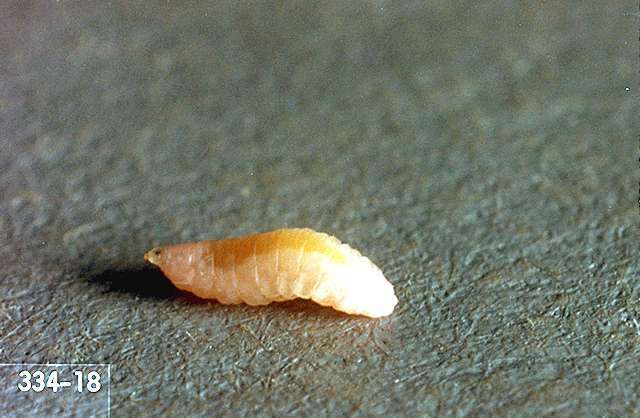 Salmon-pink maggots prevent seed formation and make blossoms look lopsided. 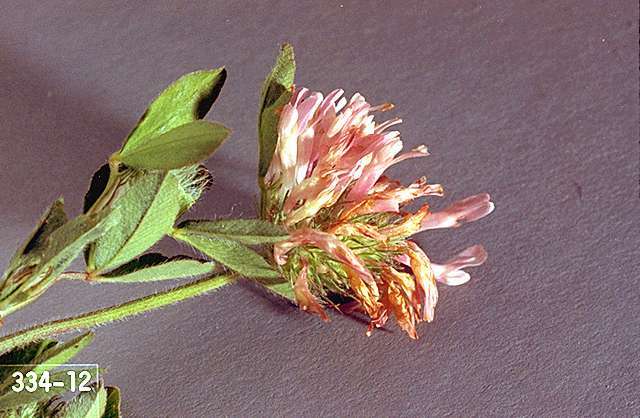 This insect is primarily a pest of red clover in western Oregon and Washington. It is not a problem in Idaho. Cut the hay crop the first week in June to destroy maggots in blossoms and prevent an infestation in the seed crop. It is important to remove hay from the field as soon as possible after cutting.